If you are an entrepreneur, you should have heard about the great impact of growth hacking strategies on marketing. Unfortunately, many marketers really don’t understand the concept of growth hacking or what growth hacking is. Growth hacking is all about implementing the right strategy at the right time. You use out of the box marketing experiments and unconventional strategies that can result in acquiring more customers, increasing revenue, etc. As the name indicates its primary goal is growth, but what’s makes growth hacking interesting, is flexibility. It doesn’t matter if you are a one-man band or a well-developed company, you can benefit from using it. Marketers are fighting among each other to achieve competitive advantage on the digital battleground. There is no more conventional approach to marketing. The only way remains there is to adapt. Growth hacking is an umbrella term for strategies focused solely on growth. It a process of experimenting and implementing those strategies, and a path of finding clever shortcuts to get better results. Even though it meant for any type of business, it is usually related to early-stage startups who need massive growth in a short time on small budgets. The goal of growth hacking strategies is generally to acquire as many users or customers as possible while spending as little as possible. Growth hackers use creative, low-cost strategies to grow their businesses, and acquire/retain customers. They mostly focus on strategies related to growing the business. But mostly, they analyze and test to see what’s working. Growth hacker must know how to set growth priorities, identify channels for customer acquisition and measure success. Does Growth Hacking Replace Digital Marketing? Can it really replace digital marketing? Well, not really. Growth hacking is no a substitute. In fact, they have not separated terms, but linked ones. They both share similar or the same mentality about accomplishing goals via experimentation, creativity, and right measurement. Growth hacking can be done either by engineers, developers, product managers, and certainly marketers. In startups, you can easily see that those mentioned professions do growth hacking. 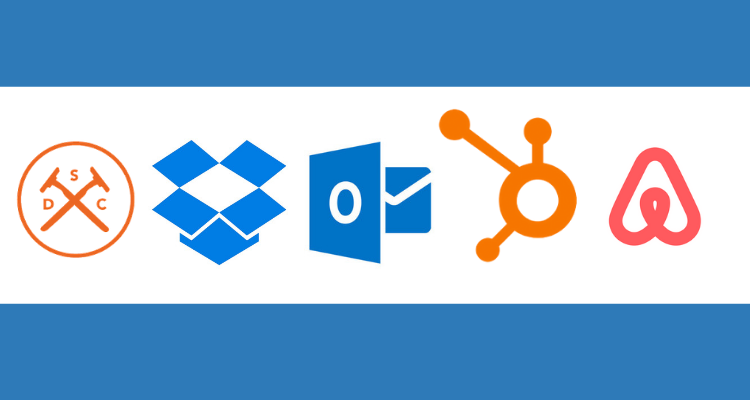 In larger organizations, there can be a separate team that does only growth hacking. They have a totally different task than those from the marketing team. Marketing and growth hacking share the same fundamental principles and metrics. Those like engagement, conversion and retention rates. The key difference between is their goals. A marketer could use those metrics to analyze an overall picture of building brand awareness. A growth hacker could use those metrics, to find a way to increase conversion by 25%, just for an example. So, you can see, that marketers are dealing with a broader picture, in comparison with growth hackers, that are dealing with a more specific goal. A key part of planning any marketing strategy is deciding how to measure success. Many growth hackers focus on the specific funnel. 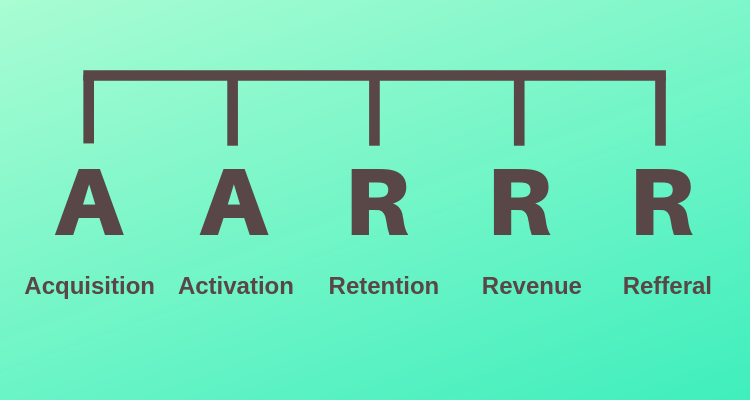 That funnel contains stages: Acquisition, Activation, Retention, Revenue, and Referral. Acquisition focus on finding a cost-effective channel to take your product to take your product or service to your target audience. Activation focus on getting and persuading customers to try and use your product. Retention is a stage where you engage with customers to form a relationship to keep them. Revenue is a stage where you focus on building a constant revenue stream, and Referral, a stage where you involve your existing customers to invite their peers to use your product. As a growth hacker, those 5 stages are the holy grail for you, and a starting point in analyzing your data. Then you are ready to decide which strategy will be the best for you. Dollar Shave Club, with their great job of doing video marketing shows us how growth hacking really works. Their video on YouTube generated more than 25 million views and in 2015., 3 years after launch were estimated to be worth over $615 million. Dropbox, which rewards existing users for inviting new ones with additional storage and have now more than 500 million registered users. This shows us that their growth hacking strategy was successful. Hotmail, which appended a line to each outgoing email encouraging people to sign up for a new account (P.S. I love you, for those who remember). This generated 12 million users in 18 months. HubSpot. They used the strategy to create a free tool which grades your website. The tool helps people to evaluate your site. Their founder and CTO, Dharmesh Shah credited website grade tool as a key part of growing to 15.000 users and a $1.6 billion market value. AirBnB, which used Craigslist to find and market to people looking for affordable accommodation. Fear of missing out. Fear of missing out or FOMO is a great psychological trick. It relies on peoples’ desire not to be left out of something good. Because of that, there is a reason why using an invite-only system or release of a new feature, is so effective when it’s done right. Freemium. Everyone loves free stuff, especially when it’s having a lot of free features. A freemium product can also help you attract the attention of potential users and reviewers who can then suggest your product to their audience. Freemium models will give you enough to get your users hooked on using the product. Therefore, users are given the choice to apply for premium membership to unlock advanced features, if the basic ones don’t fit anymore to their needs. Reward loyal customers. It’s well-known that it’s easier to retain your existing customers than acquiring the new one. Therefore, why not to make your loyal customers feel more special. Find a way in which, those who are your long-term users or clients get benefits. This might bring even more effort from not so loyal and new customers to get that reward program. Affiliate or referral program. Great strategy for growth hacking is to offer incentives for referrals that benefit both the referrer and the new user. You can use affiliate marketing as a strategy to get your customers to share your product or service, and then, for every user they bring through their link, they get some money, discount or any other form of reward. Another great strategy to use is to offer a discount for your products for any kind of social shares. Free tools. Great way to utilize growth hacking strategy is to create an online free tool. Free tools are a great way to get people to check out your website. What’s even better you can implement it with email marketing. Email marketing is a great hack tool because of its amazing ROI. You don’t have to spend a dime to get started. So, you can demand to sign up for your free tool, and your email list will skyrocket. We can conclude that growth hacking is not the same as marketing and vice versa. They both rely on similar principles but have different goals to achieve. Growth hacking can help even if you are just starting your business or you are an international corporation. If you are thinking about starting your hacking journey, you should definitely develop a strategy that lies within the fundamental metrics on which growth hacking is born. You can see on examples above that Dropbox, Dollar Shave Club, AirBnB and many more get the fruits of success from hacking. Therefore, those five strategies we have included in this article are the most common way of hacking your growth, it all depends on how you implement any of them to your strategy.